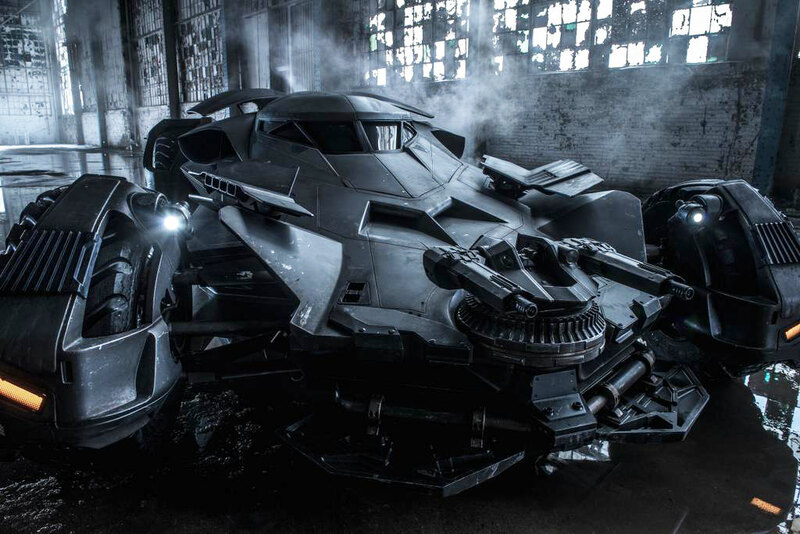 Some photos of the new Batman vs. Superman: Dawn of Justice Batmobile! It looks rather like Batman maybe doing some off-roading in Zack Snyder’s upcoming Batman vs. Superman: Dawn of Justice movie given the amount of dust that looks like it’s accumulated on the new Batmobile! Thanks to a couple of eagle eyed Instagram users (tip of the hat to mole6674 and amacro13) in Detroit where the movie is currently shooting, we’ve got a few shots of Batman’s cool new transport. Gone is Nolan’s tank-esque Tumbler, to be replaced by a much slicker more sporty looking 2 seater vehicle. The more I see of this movie, the more I’m looking forward to it coming out. Plus… How cool are those doors! 😀 2016 can’t come soon enough!